Type: BOOKS. Detail: Raetsky & Chetverik. Product Code: 1857443721. What separated Alekhine from the rest of his contemporaries? Why did he dominate the chess world for so long? The main reason was undoubtedly his brilliant attacking style of play. Alekhine had a combinative gift and thrilled the chess public and influenced every great chess player since. 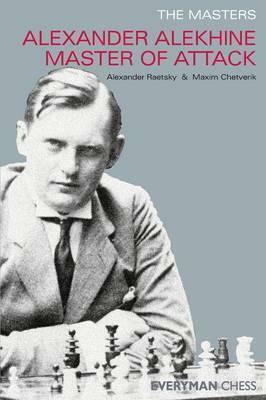 In this book Raetsky and Chetverik take a look back at how Alekhine defeated his opponents in dazzling style. They carefully select and analyse some of Alekhines most famous attacks and glorious combinations. A deep study of his games cannot fail to entertain and inspire any true chess fan.